The Plantagenet dynasty lasted longer than any other rulers but the Tudors are England’s most famous royal family. Henry VIII is the most famous king of England, Tudor or otherwise. And he is most famous, of course, because of his six wives and, particularly, his first divorce which contributed in a very big way to the development of modern English. 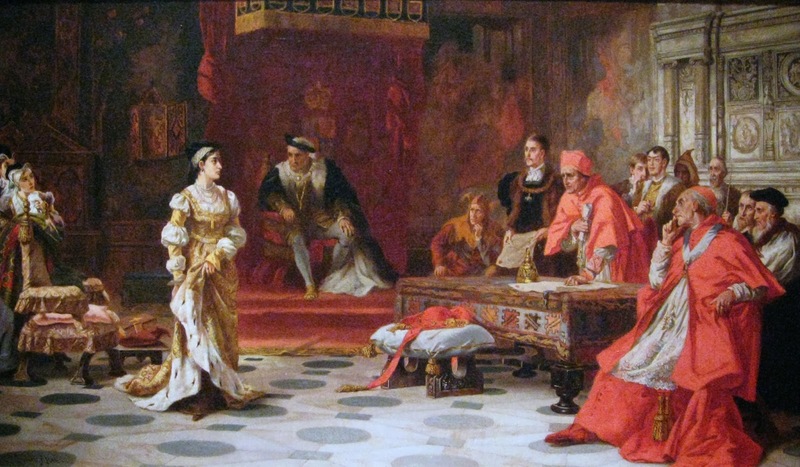 Henry VIII and his advisors were not happy that Catherine of Aragon had not given the king a son. To get a divorce, they needed to break with the Roman Catholic Church. The Bible says that a man should not marry the wife of his brother. Henry read this very carefully. 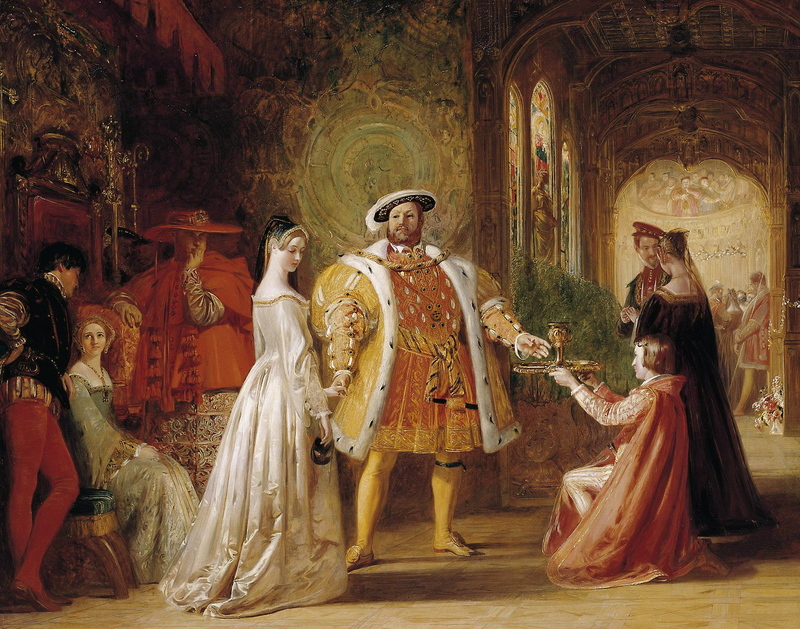 Henry decided that he wanted a divorce so he could marry his new favorite, Anne Boleyn. Henry got his divorce and, in 1533, married Anne, who also failed to give him the son he wanted. However, in order to get the divorce, England had to break with the Roman Catholic Church. It was the start of the Reformation in England and Henry VIII’s new Church of England. Marriage to Anne Boleyn did not give Henry a son, either. 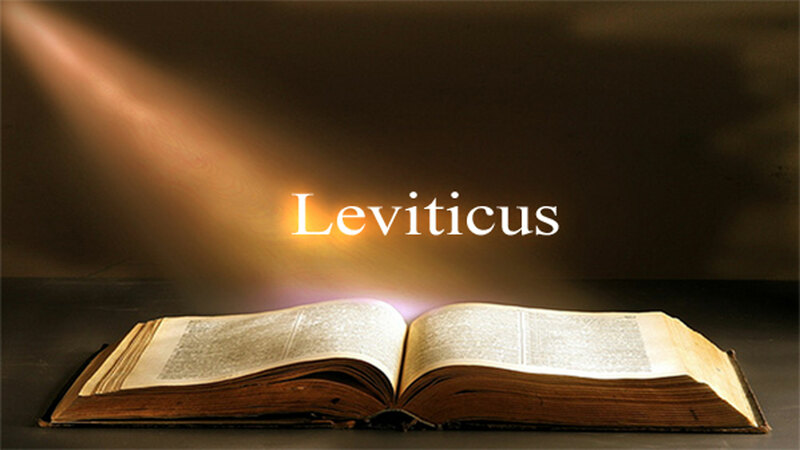 However, the break with the Roman Catholic Church and the start of the Reformation in England was to have huge consequences, particularly for the development of the modern English language. Henry VIII didn’t particularly want England to be Protestant. He just wanted a new wife and to show he was important and powerful enough to control things. However, by breaking with the Roman Catholic Church Henry was introducing England to the Protestant Reformation that was gaining strength in Europe. Protestants believed that the Catholic Church was corrupt, obsessed with ceremony, making money, and showing off. Protestants believed that the important thing was for people to simply read or hear what was said in the Bible and make up their own minds. This meant that there was a sudden explosion of English people reading or hearing the words of the Bible in English, thinking about the meaning of the words, and discussing these meanings with others. 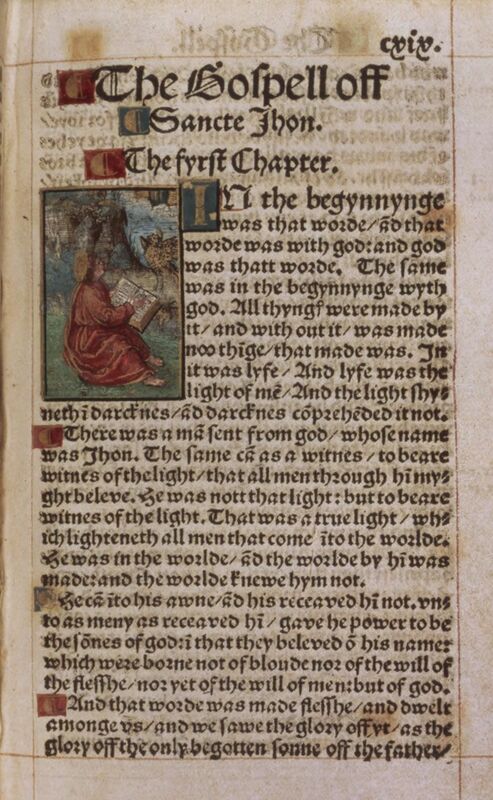 This must have been an incredibly exciting shock for many English people because the first words of the Bible were actually: In the beginnynge was the worde, and thatt worde was with God, and God was thatt worde. Clearly, words were very important indeed! And suddenly English speakers had access to the most important ones of all. It was the start of a revolution of communication, education, and the way people think. Religious images that have recently been uncovered on the front wall of this church were painted over in white during the English Protestant Reformation. Words, and not images, were to be all-important. Amazingly, William Shakespeare’s father probably whitewashed these actual walls! The beautiful images on the walls of churches were whitewashed during the English Protestant Reformation, painted over in white. Words were to be important, not Catholic pictures. 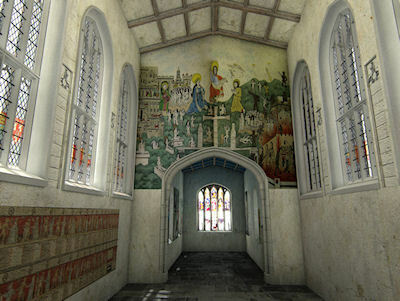 Incredibly, the father of William Shakespeare was actually employed to paint church walls in white. 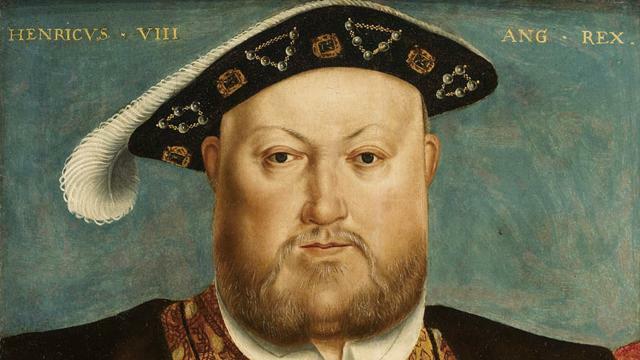 Henry VIII didn’t really want people thinking deeply, for themselves, about the meanings in the Bible. It was dangerous. He tried to stop them reading for themselves. However, things were becoming very difficult to control. Henry didn’t want these changes. He wanted a middle way so he could control things and keep power and money for himself. He thought he would be able to control the words his English subjects heard and read; he could be more powerful, able to control everything. Henry actually did his best to stop people reading and discussing the meaning of the Bible for themselves. However, a new, word-centered English speaking culture was starting up and it was going to be very difficult to control.